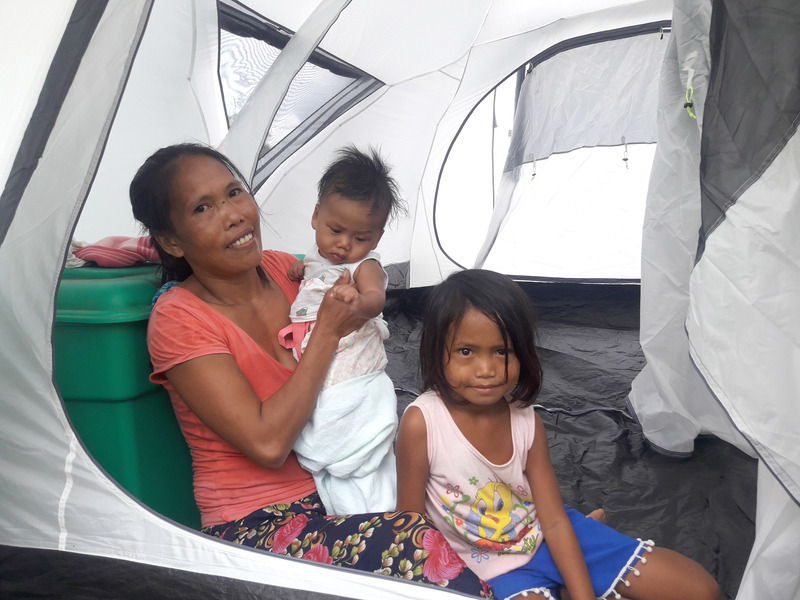 ShelterBox aid distributions have been carried out on the island of Biliran, providing families with vital weather-resilient tents, shelter kits for weatherproofing damaged properties, and other desperately needed items including solar lights, water carriers, blankets and mosquito nets. The more than 7,000 islands of the Philippines sit right in the firing line of one of the world’s most deadly storm systems, known by meteorologists as ‘Typhoon Alley’. On average, ShelterBox responds to disasters here around twice a year and it is intended that the new office ‘ShelterBox Operations Philippines’ sited at Cebu, the first of its kind for the global organization, will help get vital emergency shelter to vulnerable families even more quickly. Dave Ray, an experienced member of the Operations team, has recently returned from Biliran Island. ShelterBox is an international disaster relief charity specializing in emergency shelter. Since its start in 2000 it has helped more than 1.2 million people worldwide rebuild their lives by utilizing pre-positioned aid in storage hubs such as Panama, Dubai and Malaysia. 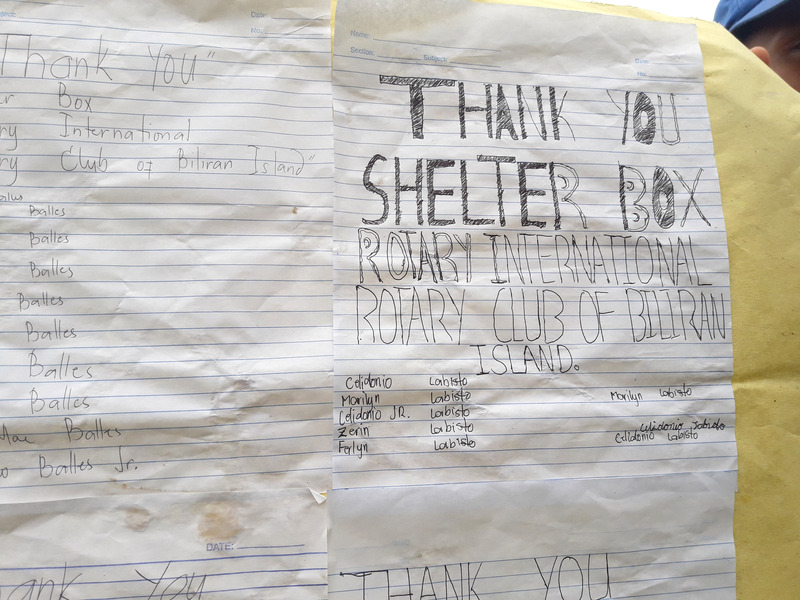 ShelterBox Operations Philippines has been created by working closely with local Rotary groups. 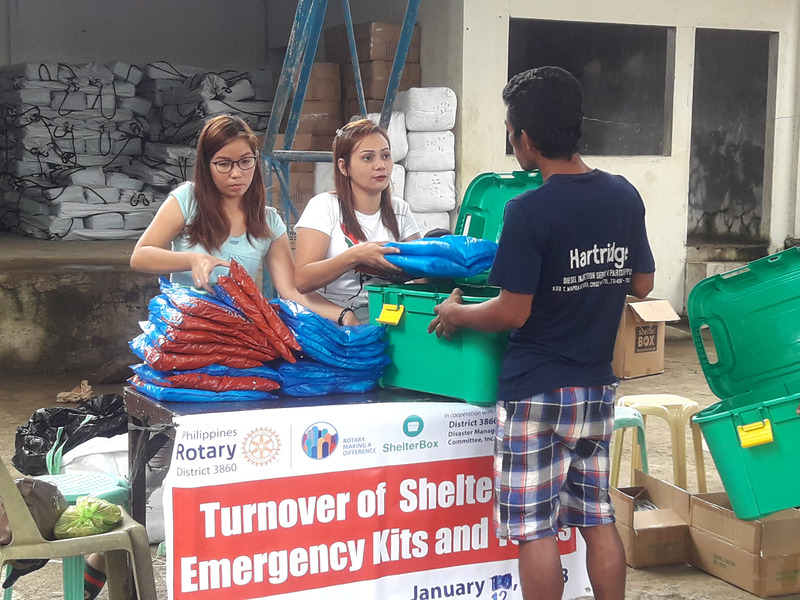 ShelterBox is Rotary International’s official Project Partner in disaster relief, and together they form one of the world’s most effective humanitarian collaborations, with many Rotarians around the world volunteering and raising money for ShelterBox. The fully trained team for the new base will be in place soon. Typhoon Haiyan in November 2013, the deadliest typhoon on record killing 6,300 people, triggered major changes in how the Philippines responds to its constant barrage of tropical storms. The Philippine Government now requests international assistance less often, limiting tax-free importing. They also now strongly favor agencies that are registered and sited in the Philippines, as well as those locating their aid from within the country.